I love the light, comp and colors,a beautiful shot! Very festive !!!!!! And warm! "in hopes that Saint Nicholas would be there!" Great welcoming photo! This would make a perfect Christmas card! 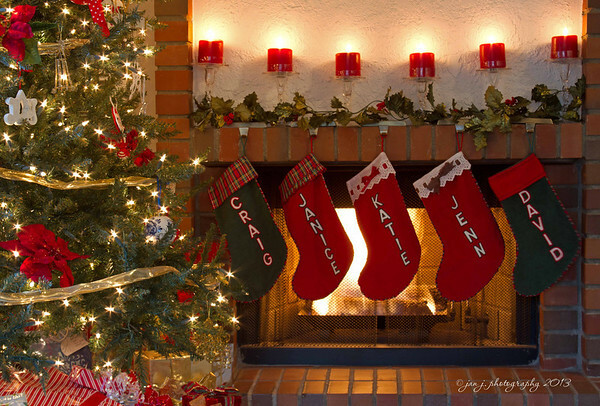 I love the lineup[ of stockings, the warmth of the fireplace and the view of the Christmas tree that has me desiring to see it in full view. Well done!!! Beautiful Christmas scene.... I love everything about this!